Include tables, charts, buttons, etc. 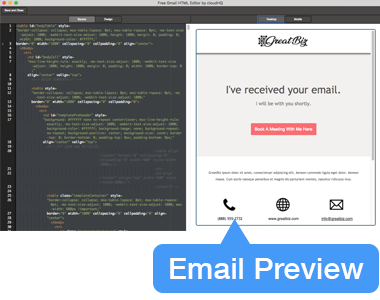 Preview your email on mobile and desktop. 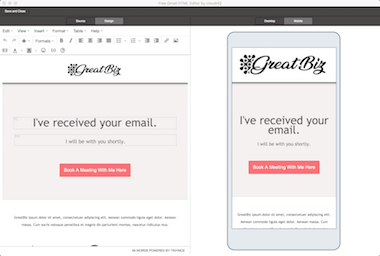 Customize emails using our split-screen HTML editor—without ever leaving Gmail. Like all modern editors, our embedded Gmail HTML editor monitors your code as you type, automatically adding closing tags and alerting you to common problems (missing brackets, etc.). You can use also use WYSIWYG editor to add tables, heading, etc. and make your email content more expressive than ever! 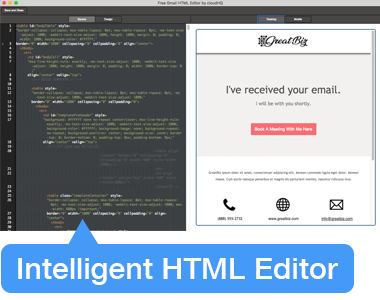 HTML Editor for Gmail is a side-by-side editor, allowing you to see the output of your code in real time. 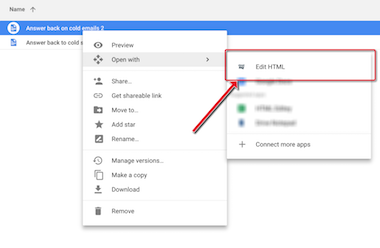 You can also edit any HTML file stored in your Google Drive with one click. HTML Editor for Gmail has almost universal 5-Star ratings from 100+ users who’ve downloaded it in Chrome. 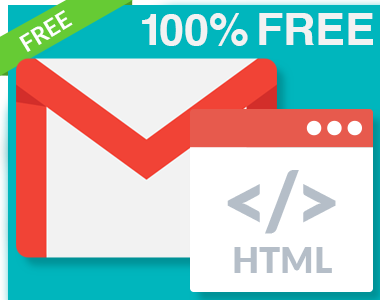 You can easily install HTML Editor for Gmail in seconds from the Chrome Web Store. Once installed, the tool will be seamlessly embedded into your Gmail or G Suite email account. A free plan is available for anyone with Gmail or a business email hosted by G Suite. Simply install the free Chrome extension and use the tool, free! For a few dollars a month, you can upgrade to the premium version, which includes full email and phone support. 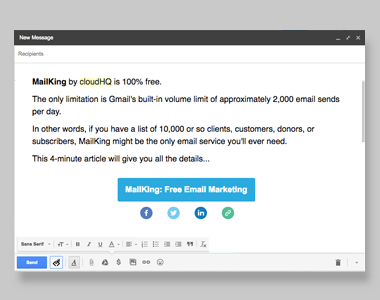 How Are People Like Me Using HTML Editor for Gmail by cloudHQ? Send regular emails to your customer, client, or prospect list? Use HTML Editor to customize every feature of your messages. 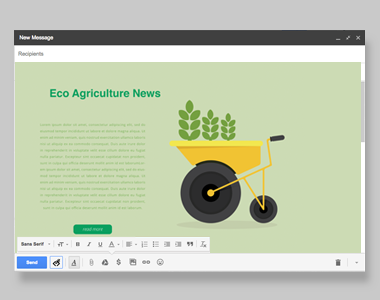 Fonts, colors, spacing—all can be quickly adjusted using HTML Editor for Gmail. Visual Reports (Charts, Graphs, etc. Sending a big report to your boss? Add a chart or a graph! It’s easy to do if you have HTML skills. Simply click the HTML icon, code your chart or graph, then click “Done.” No copy and paste from another text editor required! The next time you send a sales or prospecting email, give people an obvious next step by adding a custom CTA button to your message. It takes only a minute using HTML Editor for Gmail.